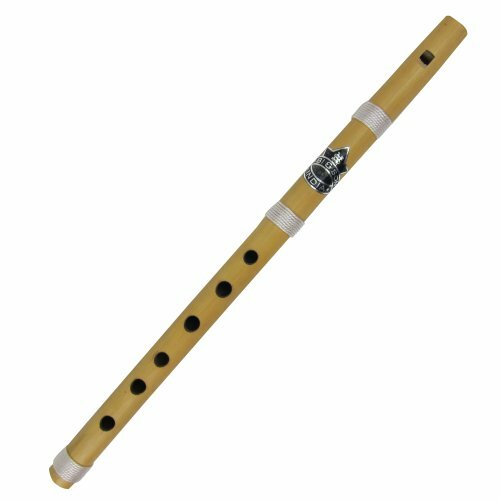 The bansuri is made from a single hollow shaft of bamboo with six or seven finger holes. An ancient musical instrument associated with cowherds and the pastoral tradition, it is intimately linked to the love story of Krishna and Radha, and is depicted in Buddhist paintings from around 100 AD. Bansuris range in size from less than 12″ to nearly 40″. There are two varieties of bansuri: transverse, and fipple. The fipple flute is usually played in folk music and is held at the lips like a whistle.